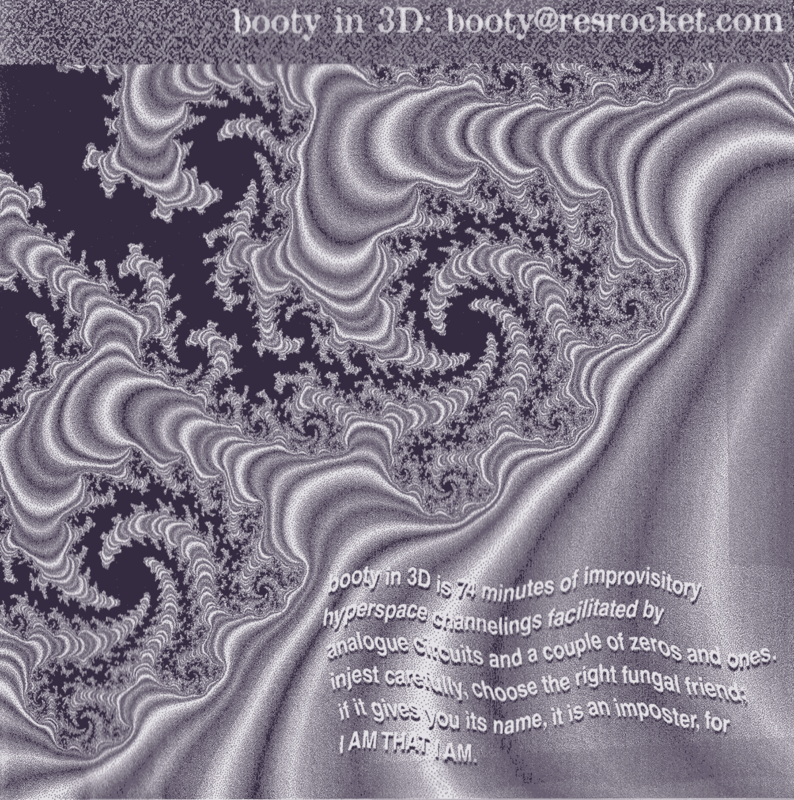 Booty in 3D is 74 minutes of improvisatory hyperspace channelings facilitated by analogue circuits and a couple of zeroes and ones. Injest carefully, choose the right fungal friend, if it gives you its name, it is an imposter for I AM THAT I AM. Nuff said. Listen if you dare.